Cupcakes 'n Daisies: "T" Stands for . . . .
"T" Stands for Bibelot? I don't think so, "T" Stands for Thelma! A while back I launched a campaign to change the name of Carrie Nelson's Schnibbles pattern Bibelot to Thelma. I was not successful . . .
except for a few choice patterns. How would you like one of these limited edition signed patterns? 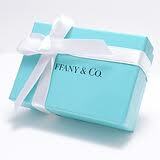 I have 8 to give away, just leave a comment with your favorite "T" word to be eligible. If the post office will deliver to your address you can enter. 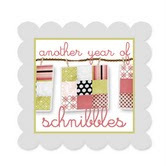 As luck would have it, this is the March Schnibble of the month for Sinta and Sherri's "Another Year of Schnibbles" sew along. Come on and join the fun, the more "T"s in the parade the better! I'm thinking my "T" Stands for Thelma should be red. This pattern is a perfect stash/scrap buster and I'm planning to put a dent in my red scrap drawer. Please leave a comment by Sunday, March 4th. The winners will be announced on Monday, March 5th. 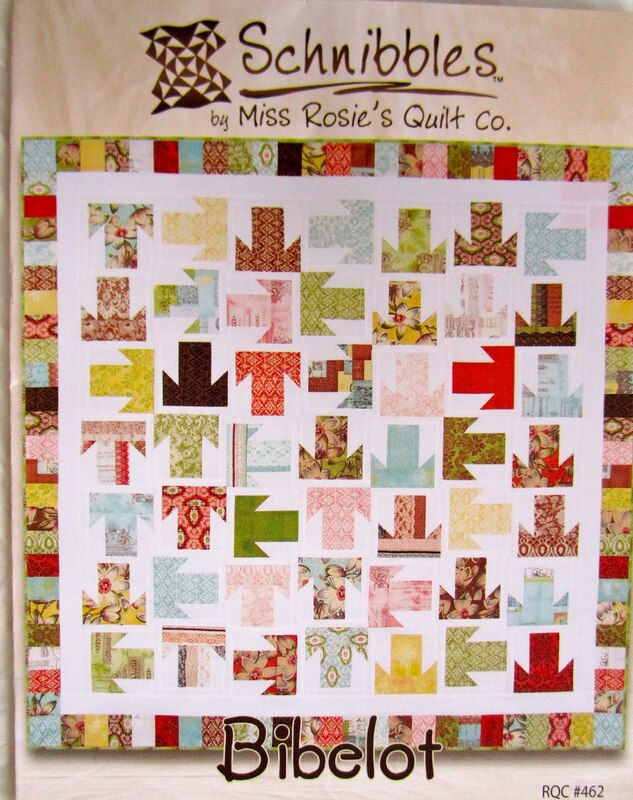 Carrie Nelson did not provide the patterns for this giveaway, I am not an employee of Miss Rosie's Quilt Co, I am probably one blog stunt away from a restraining order. My favorite "T" is Terrier, especially the Jack Russell type. What kind of dog is Tucker? 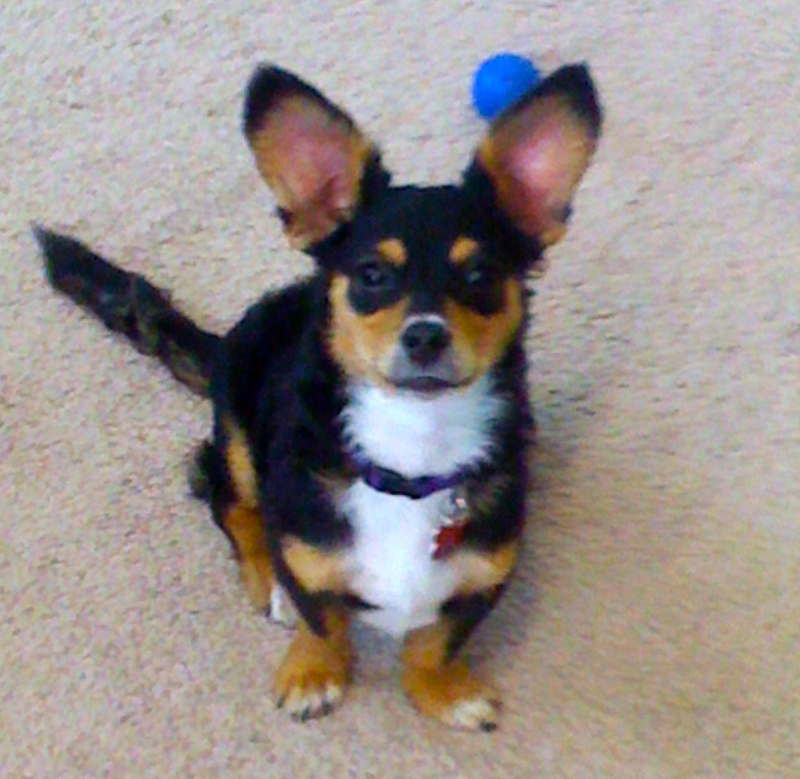 Love those ears! Thanks for the giveaway. This is cute! I'd love to win a pattern! For me "T" stands for Tewksbury Twp, NJ. I spent almost 20 years living in bucolic hills(small mountains) of Tewksbury. The place holds many fond memories. But, I love what Darlene said! Very clever Darlene!! ... This is such a cute pattern!! Thanks for the giveaway!! ... Mmm, let's see ... My favourite "T" word ... Trevor? (uncle) ... Today? Tomorrow? ... Tiramisu? ... Thankful? ... Thelma? (*giggle*) ... Twinkle? ... Terrific? ... This is Tough, lol ... I think I'll have to go with "Thankful" or "Terrific". My favorite "T" word is thankful - but what a cute giveaway! Love this giveaway, from the word, to the pattern to Thelma! Maybe she will be inspired to make a quilt with all the T words from the comments... and mine is "turtle." Have loved this reptiles my whole life long! T is for tank, our corgi german shepard. He is almost 2 years old and likes to play tug of war! Thanks for the giveaway. My favorite "t" word is "thanks". There is so much happening in the quilt world, and everyone is so very generous. So "thanks" for this giveaway! Why, Thompson of course! When my sister and I did well at something my dad would always ask, "Do you know why you did well?". We would have to respond, "Because I'm a Thompson." My sister had been married for 10 years, but when she received her masters, my dad brought it up! My favourite 't' word is Toblerone! I think I need to write an alphabet book for chocolate! Thelma, I love your blog. I come to visit you most everyday. For me, T stands for Tallon, my 8 year old Grandson who is turning 9 on March 5th. T is definately for Tulips, my very favourite flower and a fun word to say. I love the quilt...will look great in red, I reckon! This is Terrific! Took a "Tutorial" with The Carrie Nelson Two years ago. The Time spenT was The besT. sTill working on my EvenTide quilT. T = Time, something I'm always chasing. I like to think I'm closing in on it! T is for Trèfle, clover in french, four- leaf clover give me luck ! My favorite T-word is my firstborn son, Tom. I'm also partial to Tweak, which I have been known to do to patterns. I'd love to win this pattern! turquoise, tangerine, Target, Twilight,.... I think I'll dig into my drawer of extra 5 inch charms for this one. Take care! Tremendous!! I think the pattern should be renamed T is for Thelma ;-) Guess once it goes to the printer, it's too late. T is for Thanks! Thanks for the giveaway, for sharing yourself on your blog and inspiring us readers. My favorite "T" words are thankful which I am this past year for my incredible who doctors are treating me for a serious illness, and trust because I trust therm and the Good Lord in all they are doing for me. "T" is for Thankful. That's my favorite "T" word along with Together...because I am always Thankful to be Together with Family and Friends. Thankful for your opportunity too! T is for Time... always want more to sew. And I have been saving 30's fabrics for years to make a T quilt... would be great to have a pattern to get started. A Tspecial Tsigned pattern at that! T is for Tiramisu HMMMM My favorite dessert ! Thanks for a chance to win this special pattern ! T is for Thankyou Thelma for a wonderful blog and T is for Treacle our Airedale Terrier who sleeps in her basket behind my table where I sew and keeps me company. Hmmmmm... My favorite "T"... You know? This is hard. I'm going to go with "tangerine" because orange is my secret favorite color. I have loved the color orange since I was a kid. Thank you Thelma for the great giveaway! T stands for turtles! - the carmel/chocolate/nut kind! My favorite T is for Thomas, the love of my life and best friend for over 38 years. My favorite T word is Truffles...yummmm! I would love to win one of these patterns also! I enjoyed your disclaimer. How funny! Would you believe I can't think of one person in my life who's name begins with T? I would have definitely named them, because I'm most grateful and blessed by my friends, family and four-legged companions. Since none of them start with T, I'm going to go with "Thankful", because I really, really am! My T is for Tiller the best doxie in the world. T is for treasure. My fabric and scraps are all treasures, too bad nobody in my house feels that way! The disclaimers was too cute! My T is for Terrific! This is a terrific pattern and looks like lots of fun to do. Thanks for the chance to win a copy of it. T stands for Tom, that's my husband! He never fails to tell me what a good job I did on my quilt and how it is bright and cheery (colorful). T stands for thanks! As in thanks for doing this giveaway! My T is for terrific! Terrific time to tacklle Thelma! This is so very generous of you. It looks like a great stash project. My favorite T is for Timothy my son. I am so Thankful for Tim. My two best accomplishes in live...Todd and Trevor...my sons. I also agree with you.....Thelma would make a better title. Thanks for the chance to win a copy of 'Thelma', oh what a happy day it would be if I would win...hope you are having a happy day! My favorite T is TEXAS! I also like the word, Thankful! Thanks for the great giveaway! You're so funny! You know Carrie and Rosie love your attention, and I'd love to have one of those patterns. "T" for me would be time...I could always use more time to sew. If one that pesky work would go away. Your version must definitely be red! T makes me think of Talbots, my home-away-from-home so claims my husband. the dogs are so cute! I think I am probably the only person out there that has not made a Schnibbles quilt yet. T stands for Terry - my dear hubby's name! I really think the pattern name should be permanently changed, but this is a darned good start! T word...does TTFN count (ta ta for now from Snagglepuss cartoons!)? I always say that - my kids just look at me like I'm weird - they obviously are not in the know about Snagglepuss! Of course your quilt should be red. Is there another color? What a fun giveaway. Thank you. Tucker is so cute!! Tucker also happens to be my favorite T word as I have a three year old named Tucker :) Thanks for the chance! Carrie couldn't resist your charms Thelma, of course she changed the name of the pattern! How about one of my favorite quilty "T" words: "tessellation" which is usually how "T" blocks are laid out in quilts. Leave it Carrie to give us another way to look at them. I haven't made a "T" quilt yet so maybe if I win this pattern, that means the time has come to do so? I see some good ones on here that I Love which would be TIME, Thank You, Thankful so not to copy I would have to say I'm left with my T word being Tami which is MY Name. Thanks for this fun chance. I actually have a similar pattern and it's called T for Texas! T would be for Terrier - we have two and they like to help out with the quilting. Thanks for the giveaway of the "Thelma" Schnibbles pattern! My favorite T word is my daughter's name, Tricia. Until now, no one outside of our immediate family has been privileged to know our special name for her, Trixie. I'm trusting you, so please don't spread it around. T stands for "trouble" !! As in "how much trouble can I get into today by starting a new pattern when I haven't finished the current one yet?" I took your advice and took the day off yesterday from work so that I could work on my quilting on my extra day! Also had a long dentist appointment, ugh, but then rewarded myself by getting back to the sewing machine! "T" stands for Tinkerbell, a nickname my darling husband gave me when we first married. Thanks for the giveaway. My favorite "T" work has to be truffles! The chocolate kind, of course! Would love to win one of your famous "T" patterns, thanks for the chance. My favourite "T" word would be Trust. I love Carrie's patterns, and would love to win one. My favourite T word is Tenderness, though I think Thelma makes a good name for the pattern too! Thanks for the giveaway. I think a red version would be great! I can think of so many good "T" words - thoughtful, toys, thread, tractors (farmer's daughter here!) but I'll go with treats! Who doesn't like Treats? T stands for tachycardia. That's what my heart would do if I won!!! "T" could be for me as well. I think a baby quilt in polka dots would be fabulous. For my t word, I think TIME is appropriate. If only I could find more time in the day, I might get as much accomplished as you. My fav T word would be.... Tickle fun to say and fun to do with someone! This post cracked me up!!!! My favorite T word is Trouble, which is something either the cats or I are always into or causing. Can't wait to start working on T is for Thelma for this month's Schnibble. T is for Terrific Thelma. T is for Time to quilt. T is for Tea time, thanks for the chance to win a lovely pattern.! T stands for our last name!!! I've been thinking about making a double T quilt and that little pattern would be the perfect one!! T hanks for the giveaway opportunity! I thought T did stand for Thelma! Your quilt will be lovely in reds! when i saw the picture of tootsie rolls on my sidebar, i had to wonder "what is Thelma up to now?!? 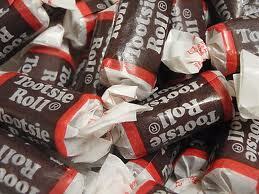 does SHE love tootsie rolls, too?!? and does her favorite quilt store hide the bucket of tootsie rolls when they see HER coming up to the counter like mine does cuz they'd go broke if they tried to keep me in tootsie rolls?!?" First T word that came to mind was Timbucktu. I have no idea why. The mind is a strange thing! My favorite T word would have to be "Tremendous". That is what it would be if I won this "Thelma" pattern. Thank you for a tremendous giveaway. My "T: word would be THREAD! It comes in so many different colors, and it comes in cottons, and silks and so much more..oh, my. It is what I need to hold all my quilts and my design ideas together. I couldn't imagine life without thread. Besides, how could I make a Schnibbles THELMA quilt without thread? T is for TIME, since I'm always needing a little more time to work on projects. "T" stand for Time ~ Wishing I had more of it to read "Thelma's bolg!!! I am so inspired by you and all the quilts you make. My favorite "T" word is Taylor which is my last name! Thanks for the giveaway and a chance to win. Your quilts are gorgeous! I really like reading your blog. 'Thanks' for the chance to win one. My favorite "T" word is "tesserae:" first, because it's fun to say, and second, cause it makes a lovely quilt. How about Tiramisu? LOL I'm always thinkigng about sweets! Tim Tebow Time. And trebuchet. I had to build a trebuchet (high school - not as much fun as you might think) and I have loved saying the word ever since. I really think that Carrie Nelson ought to just change the name. I know how to say "Thelma". T is for both Tabby and Tuxedo (cats). I have one of each kind and they are sweeties. I love your idea Thelma and the fun way you are choosing to create change. Thanks for the generous giveaway. T is for Thomas, of course! My last name...thanks for the chance! T for Thelma and for Teresa ( my name). Terrific patterns they are. I think T should stand for Tinsel Town & make the quilt out of sparkly Christmas fabric. My favorite T word is Three for the three little grandchildren that entered my life this past year. I was Thrilled, especially when the first Two were Twins!! Of course their cousin is Too cute for words!! Right now the Twins have just cut their first Tooth and their little cousin is working on hers. This grandma loves them to pieces and you can be sure they will all be getting their fair share of quilts!! My "T" must mean that I owe a quilt to Tom and Tiffany,my youngest son and DIL. It will be my green scrap box that I'll use from. T stands for Tuesday, meeting day of my weekly quilting bee group. "T" stands for time...which I had more of OR which I was better at managing :) Can't wait to see it in RED lol! Thanks for the giggle today...one stunt away from a restraining order...hilarious! One of my favorite T words is "tranquility"....quick is what quilting is all about for me! My favorite T word? It has to be "Terry" - my daughters boyfriend who is a "terrific" young man!! Jane E.
Favourite T word would be "terrific" Am always trying to find ways to encourage my children in what they do, and this seems to fit nicely. My favorite "T" would be my sister, Teri. She lights up my life! My favorite 'T' word is thimbles!! My favorite T word is TIRED! As in - I am always tired! Lately life has been running me ragged and I have no energy left to sew. T is for toothpaste. A "T" word that makes the world a lot, better place! I would have to agree that "T" is for "Thelma" and "terrific". Coincidence? I think not. p.s. I laughed out loud at your "legal mumbo-jumbo"! Tensão,para ganhar...Tezão para participar...Tranquilidade para esperar?...Talvez eu até ganhe...Tristeza se não ganhar. THELMA para Te agradar.TEIJOS e OBRIGADO. Didn't think you would.get a recipe did you!!! Serve with whippingcream. Thank you for your giveaway. I'm with you it should be a TTTquilt.----like T for Two. I love a good schnibble and would love to have this. T is for Troy-my hubby of 20 years. Tandywine - I have no idea what it is, but I always thought it sounded amazing!! My favorite "T" word is Thanks! Thanks for a fun blog and a chance to win! As it happens, my grandmother's name was Thelma, so that is my favorite "t" word. But if I have to pick a different one so as not to be a copycat, I would choose treehouse. My favourite "T" word is tea. I love a good cuppa tea, it calms, soothes and refreshes. Off to get one now "Tea, anyone?"! Thanks for the chance to win! I want to make it with tahitian fabrics...Thanks Thelma. Your dog is so gorgeous, what a lovely face he has. Textiles would have to be my favourite "t" word. Where would we be without them! "T" is for Taylor~ my grandparent's last name!! What a wonderful Treasure to have a chance to win!! Hmmm, as I sit here Today drinking Tea, at almost Ten AM I am wondering what T word to choose. Just finished my Tai Chi routine and noticed that my Toenails need re-painted. Trying to figure out what Tempting menu to fix for Tonight's dinner when a TA-DA moment hits...My T word is T-Bone steak, after all I am a Nebraska Farm Girl and "Beef, It's whats for dinner". Hummm favorite T word has got to be "Therapy time" that is being able to get to sew my week ends away. I enjoy reading your blog. It really gets me motivated to sew. I would love to be able to get a quilt done every month, like you! Thank you for sharing all your quilting with us. Great pattern! Count me in. "T " is for together! I always think of the fabrics in a quilt and what fabrics will go "together" to make it pretty! How abotu T for tradition. I love traditional patterns as well as family and holiday traditions. T stands for "Thanks" for the chance to win. Enjoy your blog and your gorgeous quilts. Oh, I'm loving your T is for Thelma idea. I haven't made any Schnibbles yet, but I'm certain I must try it. So that's it - my favorite T word is "try". You never get learn anything or get anything done if you don't try, right? Thanks for the chance to win a great pattern . Thelma, I would love to win one of these. And if I'm not lucky enough, I'll be searching the web for one! My favourite T is tea - the drink and the meal!! Oh, and I also love T for terrier, got to say that or Archie will sulk!! I love your idea "T is for Thelma".... great idea. My word is Thankful. I'm thankful for my wonderful family. My "T" word is Tea-love to drink it all day long-hot or cold. Thanks for doing this giveaway-would love to win this Schnibbles. Have a great day! 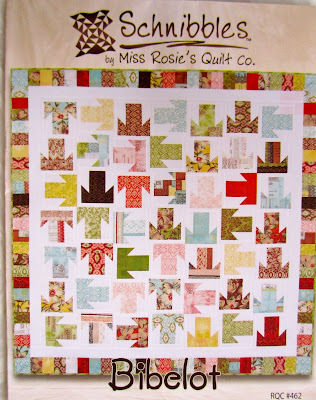 I love your blog and love, love Miss Rosie patterns. T stands for terrific. A terrific give-away. T for me means "taking time"-- I did not get married until later in life because I waited for the right one to realize I was there! LOL Tucker would be a good T also --- what a cutie. Well, the dogs are adorable...especially the guy with the tie :-) My favorite T is tea...have to have a couple of pots of tea a day. would love to have one of the patterns. Thank you for the giveaway! T is for Twizzlers. Yummy. T is for Trembley - my last name and a great reason to make this quilt pattern! In my world, T stands for Treats -- sweet ones, hopefully. Or, for our dog, savoury. 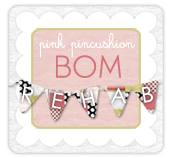 Thanks for your always interesting, always inspiring blog!